We usually send flowers to commemorate special occasions or celebrate personal milestones. But farm-fresh blooms can be purchased any day of the year. 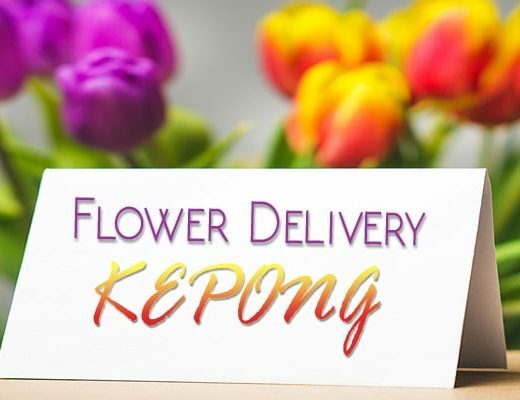 We have compiled a list of the best flower delivery services in Malaysia for you to try. With these budget-friendly, efficient and convenient online florists in Klang, Shah Alam and Petaling Jaya, you can afford to buy fresh flowers on a regular basis! If you’re looking for speed, value for money and convenience, the best flower delivery in Klang Valley, Shah Alam and Petaling Jaya is A Better Florist. Their curated selection of flower arrangements are versatile, contemporary and suitable for all sorts of occasions. This meticulous curation by their professional florist saves the customer precious time in finding the perfect arrangement. Plus, they cater to all budgets which makes their premium blooms more accessible to a lot of people. A Better Florist is also perfect for busy people and rush orders with their 90-minute guaranteed express flower delivery in Klang, Shah Alam and Petaling Jaya. To get your flowers on the same day, place your order before 3pm. 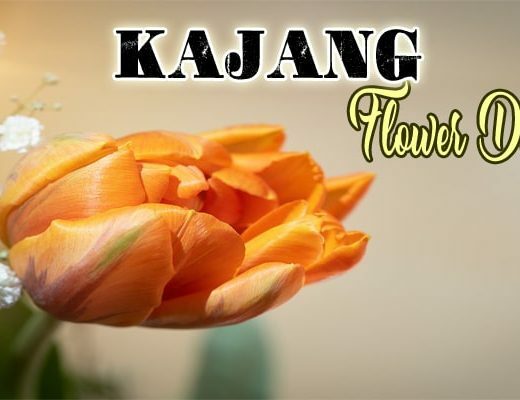 Being one of the oldest florist in Klang town they are able to offer the best price and flower to their customers. Their delivery area cover the whole Klang Valley. For just MYR 7, you can get a mini hand bouquet, although Aliice Art Florist Shop only allows self-collection for this category. They even offer courses for floristry, from enthusiasts and hobbyists to professional design courses. If you sign up as a member, you get 6% off on your first order. Any order placed before 12pm from Monday to Saturday will be delivered on the same working day. For Sunday deliveries and deliveries outside Klang Valley, you need to order 2 days in advance. Michelle Latif, the owner of Michelle’s Flowery, is a self-taught florist who creates unique arrangements for customers. While other online florists in Malaysia already have pre-designed catalogues which you can choose from, Michelle’s Flowery specialises in customised arrangements. So this is best if you’re looking for one-of-a-kind floral gift for a friend or loved one. You can call or email them directly to place your orders. At Happy Bunch, instead of giving you options, you get 1—their Daily Bunch which depends on the flowers they get from the flower market. You can choose between regular or luxe flower bunches and their florist will do the rest. A regular bunch starts at MYR 42 while luxe flower arrangements start at MYR 89. Plus, you get an MYR 5 discount for your first order. This is ideal for ordering on regular days when you just want to brighten up someone’s day or to treat yourself with some fresh flowers. Order before 12:30pm for same day flower delivery for your flowers in KL. DELIVERY FEE All prices are exclusive of delivery charges, unless otherwise stated. Scentales is a startup online florist founded in 2016. Their name comes from the fact that certain memories and stories are often triggered by scents. As their site states: “Every scent has a tale, every color has a story to tell.” They have very cheap flower stands which are unlike traditional flower stands because they’re flower bouquets propped up by wooden stilts. They also have cute add-ons of floral poms fashioned into bunny flowers for only MYR 15. For same-day delivery, orders must be settled before 12pm. Same-day deliveries will be completed between 12pm to 6pm. DELIVERY FEE Free for deliveries to Klang Valley and select areas in KL. Order before 1pm for same-day delivery. If you’re the type requiring fresh flowers for home use or decorative purposes, BloomThis is a highly recommended floral subscription service in Klang. Their subscription boxes are delivered weekly every Thursday between 10am and 6pm. Of course, if you’re not ready for a long-term commitment to farm-fresh blooms, you can also purchase from their retail flower arrangements for special occasions. Their designer bouquets comes in their signature boxes which can double as vases or pots for your fresh blooms. PAYMENT iPay88 (VISA, MasterCard, Band Transfer), PayPal for other credit cards or International credit cards. LaVie Flo is a combination of the French term for life and the shortened version of the word flower. They specialise in preserved flowers designed in various arrangements, such as in acrylic boxes, bell jars and flower cones. They’re great for wedding arrangements and bridal bouquets because they surely won’t wilt on your big day. Plus, you can keep the bouquet as a souvenir for years to come. As indicated in their website, preserved flowers can generally last for 1-3 years, but when stored in a sealed casing, they can last for more than 10 years! For same-day flower delivery, place your order before 12nn. Delivery is free when you have a promotion coupon that includes “free shipping”. As evident in the name, Tailored Luxury Floral Collection sells tailored flower arrangements for their customers. Apart from their floral products, they offer events decor as well as floral set ups for weddings, launches, annual dinners, gala dinners, awards nights, among others. You can have your recipient’s name printed on their signature hatboxes for personalised touch.